Compact design solids contorl system is a kind of mud system for solids remove and for drilling fluids recovery. It is widely used for water well drilling, horizontal directional drilling (HDD), coal bed methane (CBM), diamond drilling, piling, micro tunneling, and other no dig and underground construction jobs. 1)Firstly, it can recovery as more drilling fluids as possible for reuse, it reduces the drilling cost. If without the mud system , drilling mud from the rig will be discharged as high solids control. It is not satisfied for drilling activities. Now more and more rigs are equipped with mud recovery system. 2)Secondly, it can reduce the waste discharge. The drilling fluids is somehow polution to the environment. As there are chemicals and sometimes, diesel in side for cooling and lubrication function. It will pollute the envoronment if discharged directly. With the compact design mud system, it can recovery as more drilling mud as possible. Therefore, the drilling cuttings discharge will be reduced. 3)Compared with other brand solids remove mud system. GN compact design mud system is specially designed for water well drilling, for HDD, CBM and no dig construction works. It takes a small footprint, and with ful functions. 4)GN compact design mud system can be customized per clients request and the job site conditions, to suit for different applications. 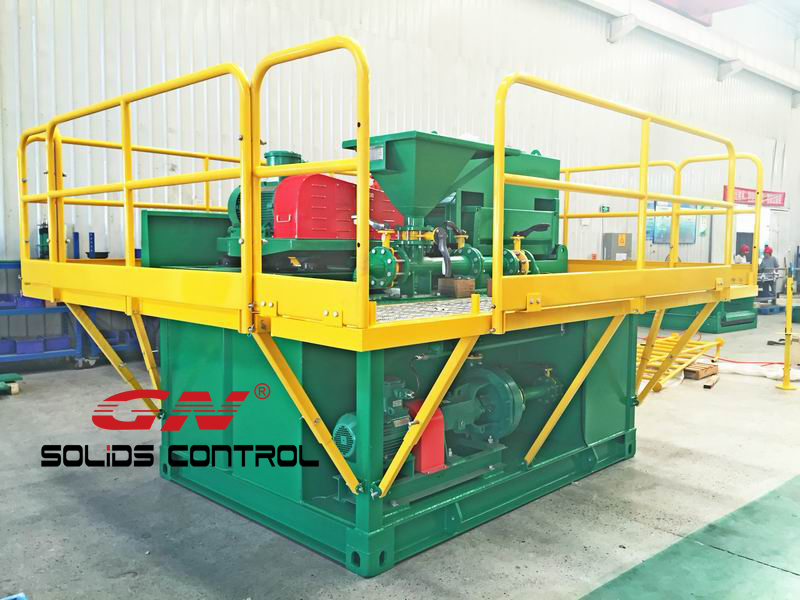 Recently, GN Solids Control dispatched a compact design mud recovery system for a internaitonal client. The mud system is for diamond drilling. Cliesnt want the system to be as compact as possible. Mud solids contorl specialist – GN Solids Control offers a system as below to cater for the clients job site condition.